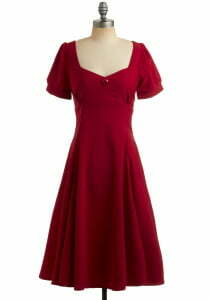 What is the color dark red and what matching colors you can wear with it? This is a deeper shade of classic, calmer, but still passionate, rich and inviting. In most cases, there is dark red clothes dosed, as a component of floral and checkered patterns, stripes, and other multi-color prints. Intertwined with the other colors, dark red as it loses its sexually aggressive component and acquires a new meaning. 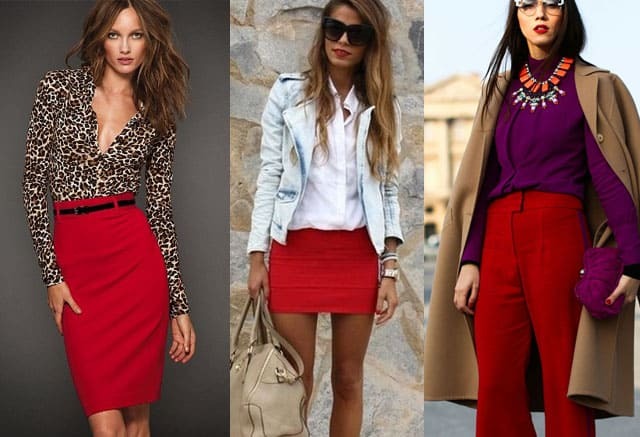 However, if there is much wear dark red color, then it must be something to wear and combine. Matches dark red and gray — that’s where lies the true elegance. Choosing this color combo, you should pay attention to the lightness of gray and red. It is better if a set amount equal brightness shades. Also, will combined with dark red that complementary colors: pink, yellow, orange, burgundy, blue, purple, black and green. The absolute taboo is a combination of dark red color and brown or brick.